With Mrs Hora out playing jazz guitar yesterday evening Basti surprised me with a request to watch a film together, he's decamped into his room pretty much all the time since Christmas. He's been keen on watching some horror films over the past year and I picked up two going relatively cheap, both Swedish vampire tales. The first 'Frostbite' was awful, not even hilariously awful. I haven't been in a rush to watch the second one as a result. 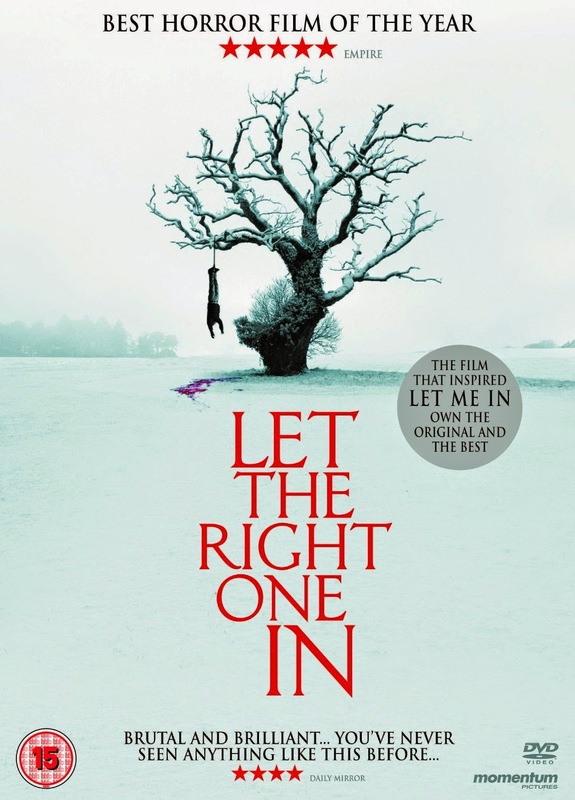 If you're following the tone of this piece then by now you'll be garnering that 'Let the Right One In' - dreadful title - was actually very good, hurrah! The story is nothing exceptional, a girl, Eli, and her father move in to Vallingby, a Stockholm suburb and we see him draining the blood from a local to take home to his daughter. They've moved in next to 12 year-old Oskar who is bullied at school and he and Eli form a 'cool' relationship centring around a Rubik's cube and falling in love. The film is slow paced, in all the right ways; the scenes are beautifully snowy, stark, the trees shown in detail, the apartments very square, neat. The music is similarly atmospheric and thankfully uncliched. The characters of the town are brilliant, a motley selection of real people, and indeed the school kids, particularly the mates of the bully, learn a lot over the course of the film. Our young loves are perfect: he's ice blonde, has a perfect snotty nose more than once, and she is the antithesis, dark-haired and all knowing. She has the best line; 'I've been twelve for a very long time'. 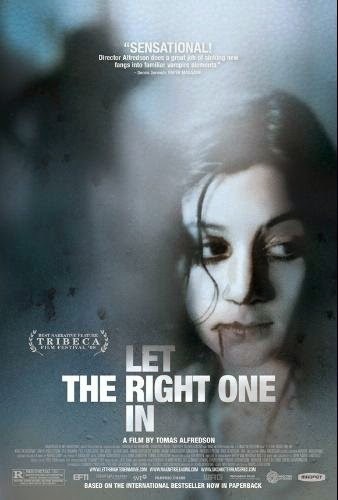 Whilst not being into the horror genre to even the smallest extent I really enjoyed this. I'll certainly re-watch it. The relationship between the two children is sweet and very well-handled. It reminded me of the odd relationships in 'My Life as a Dog' but also 'Betty Blue' and 'L'Enfer', intense but also deep and meaningful. That there's been a US remake has naturally annoyed me although the Amazon reviews are still strong. I won't be going there. Nor too will I read the book, the odd horror film is fine but I can't imagine buying into it across a novel.